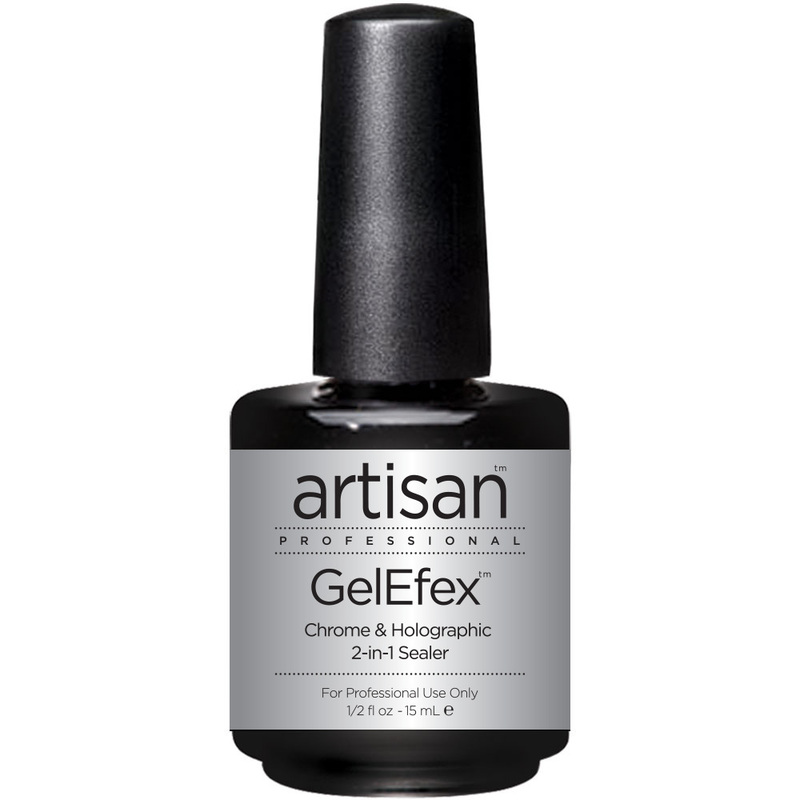 Unique Formula To Bond Chrome & Holographic Pigments: A must-have if you are applying chrome or holographic pigments to nail, this Artisan GelEfex Chrome & Holographic Top Coat is a unique formula that works like a magnet to bond pigment powders to the nails. Intensifies for Sparkling Results: Ordinary gel top coats aren’t designed to absorb pigment powders. 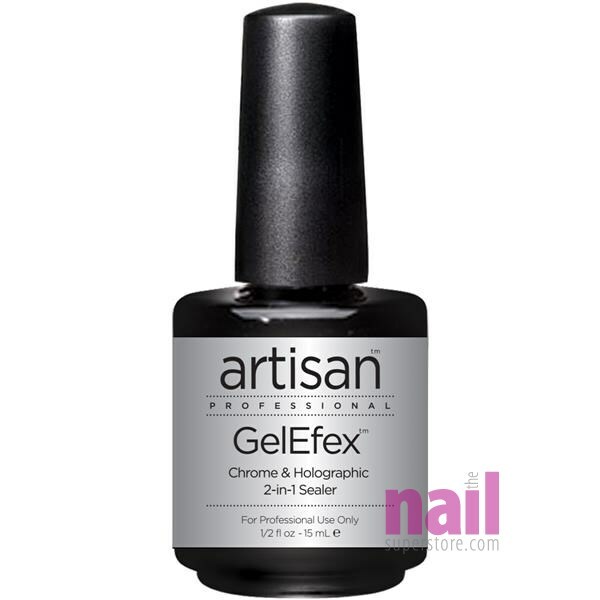 This is a holographic & chrome sealer that makes pigment colors truly dazzle. Expect brilliant, sparkling nails. 3D Effect: A multi-dimensional color effect that makes nails look as if 3D! Easy UV/LED Cures: Cure pigment sealer top gel 30-60 secs under LED or CCFL/LED light, and 3 mins under UV light. Product Comment: Love the effects it gives my hologram powders. Easy to use and lasts a long time. Product Comment: Love how quickly this base/topcoat cures. Has a nice tack to it so it really holds chrome pigments well.